Gum disease describes the inflammation of the tissues supporting the teeth. It has two stages: gingivitis and periodontal disease. 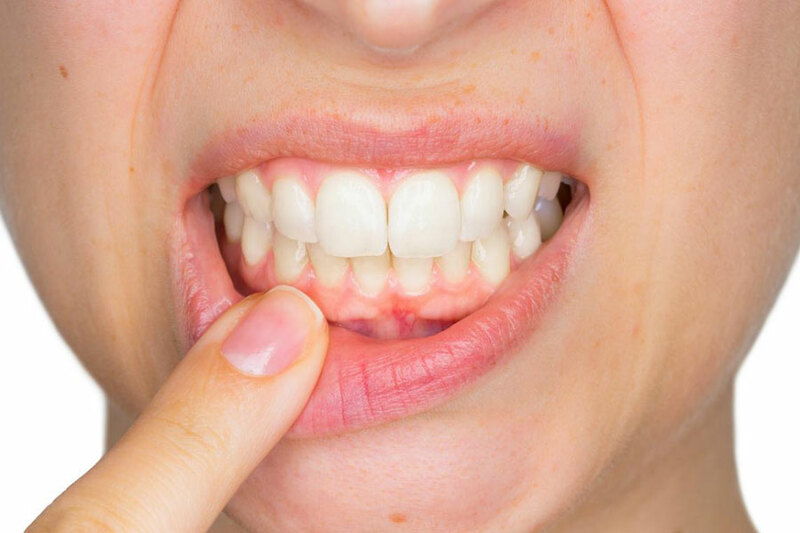 Gingivitis usually refers to inflammation of the soft gum tissue only and, if untreated, this progresses to periodontal disease when all the tissues, both gum and bone, supporting the teeth become infected. A: Gingivitis means inflammation of the gum tissue. The gum around the teeth becomes very red and swollen and bleeds when brushed. The exception to this is in smokers as the gum has a much reduced blood supply and therefore the disease progresses undetected by the patient. A: The term periodontal stems from the Greek words peri- around – and odont- tooth- and means the tissue around the teeth. Periodontal disease is the major cause of tooth loss in Vancouver. It is preceded by gingivitis and, if untreated, results in destruction of both the gum and bone supporting the teeth, which then leads to tooth loss. Q: Am I likely to suffer from gum disease? A: Probably. Most people suffer from some degree of gum disease but it is easily treated by removal of the harmful deposits on your teeth. A: All gum disease is caused by plaque. Plaque is a film of bacteria that forms on the surface of your teeth every day. Initially it is a soft deposit, which is easily removed by brushing, but, if left, takes up calcium from saliva and forms a hard chalky substance known as tartar or calculus that is difficult to remove. Metabolism of these bacteria produces toxins, which attack and destroy first the attachment of the gum to the teeth and eventually the bone supporting the teeth. The teeth then become mobile and are lost. A: Unfortunately, gum disease progresses painlessly in the early stages so you do not notice the damage it is doing until often it is too late. The first sign is blood on your toothbrush or in the toothpaste or rinsing water when cleaning your teeth. Your gums may also bleed when you are eating and you may notice that you have a nasty taste in your mouth and bad breath. Q: What happens if gum disease is not treated? A: If untreated, the bacteria causing the initial inflammation of the gum tissue become more active and make your gums sore. This leads to gum abscesses with pus oozing from the now deep pockets between the teeth and the gum around them. Over a period of time, the bone supporting the teeth is lost leading to loss of the teeth themselves. The longer the disease is left untreated, the more difficult treatment becomes and the less good the prognosis. Q: What do I do if I think I have gum disease? A: You should visit your dentist for a thorough check up including radiographs to assess any bone loss. Following this, a treatment plan will be designed to painlessly remove all the harmful deposits from your teeth and to show you ways of preventing further build up . A: Periodontal disease is never cured but it can be controlled. Meticulous home care is essential, but, due to the previous loss of bone, there will be areas that are difficult for you to maintain alone. It is essential therefore that you see your dentist for regular checks on your oral health and maintenance every 3-4 months.